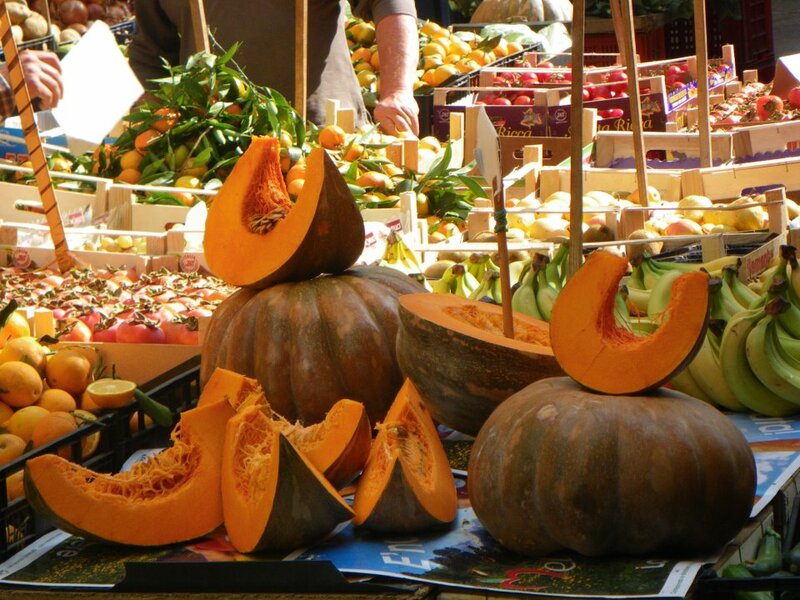 A good travel experience requires having a good appetite, and contributor Jim Dixon of RealGoodFood is a sterling example of someone who knows how to travel well. A fritter aficionado, he couldn't resist when he came across a vendor with some fresh fried bits at a market in Palermo. 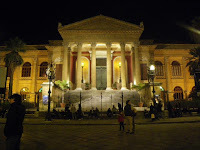 We only spent a few days in Palermo at the end of our trip last fall, and we were surprised how much we liked it. We stayed in a small hotel called Palazzo Pantaleo in the heart of the old city, so we could walk everywhere. 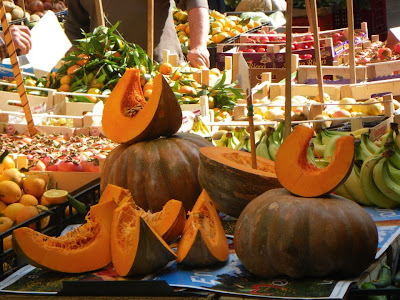 La Vucceria, Palermo’s most well-known street market, has devolved into a tourist trap full of cheap junk, but there are a few others that primarily serve the Palermitani. 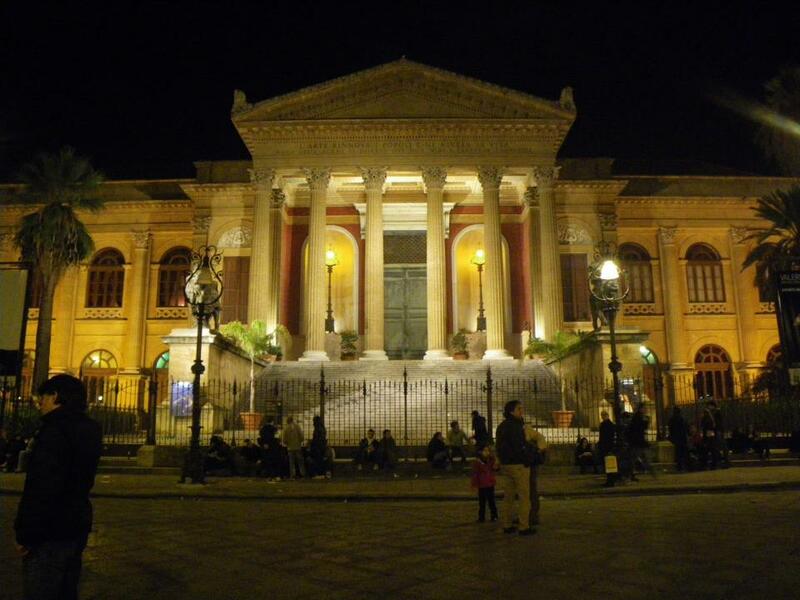 One is Il Capo (above), a few blocks from the Teatro Massimo (left). Known for its seafood stalls, the market stretches for several blocks through the narrow streets. Without a kitchen, I couldn’t buy much, but one of the fish vendors had cooked a few things from the day’s catch, and I munched on tuna meatballs sort of like these. Basically fish fritters, I make mine with leftover cooked albacore if I can, but good canned tuna works just as well. Buy local Pacific albacore canned in its own juice (and don’t drain it off!). Flake the fish in a bowl. For each cup or so of fish (roughly a can’s worth), mix in an egg, a chopped shallot, about a tablepoon of bread crumbs, pinch of salt, and a teaspoon or so of fennel pollen (the Tuscans call it fiore, flower). Use two soup spoons to form walnut-sized “meatballs.” I make mine more flat than round, but only because it’s a little easier than rolling them into balls in my hands. Your choice. Pan fry in extra virgin olive oil until brown. These are good plain but also nice in a simple tomato sauce. Photos by Jim Dixon of RealGoodFood.